2018 winner Wojciech Kopec had the fastest time in seven years. 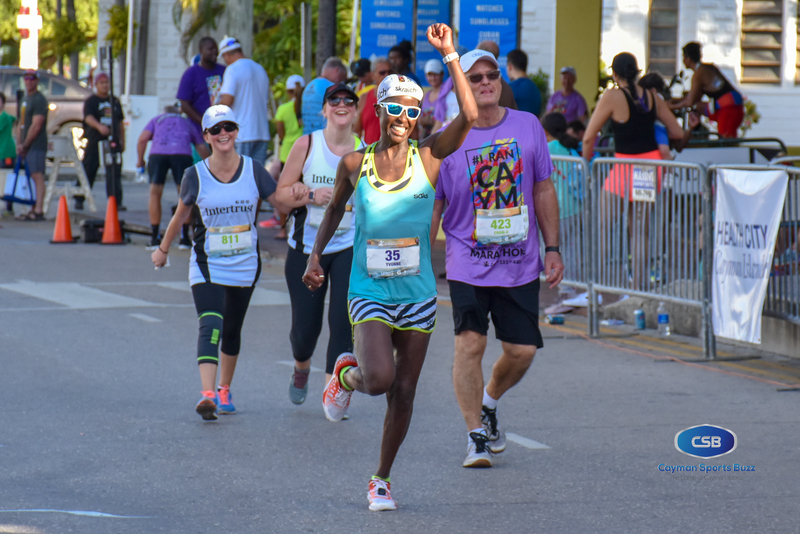 It was a record-breaking year in terms of participation at the 2018 Intertrust Cayman Islands Marathon with upwards of 1,350 runners competing in the full distance, the half-marathon, and as part of team relays on Sunday 2 December. There were three first time winners in the individual races, with a repeat champion in the other. Wojciech Kopec of Poland got out early, breezing through the first lap of the looped course, and maintained his lead to win the full-distance event in two hours, 46 minutes and 40 seconds. 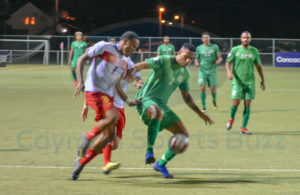 Although he did not put in work specifically for this race, this was the 32-year-old’s third marathon in the Caribbean in the past three weeks, after picking up a third place in Havana, Cuba two weeks earlier, and winning with a course record in Curacao. 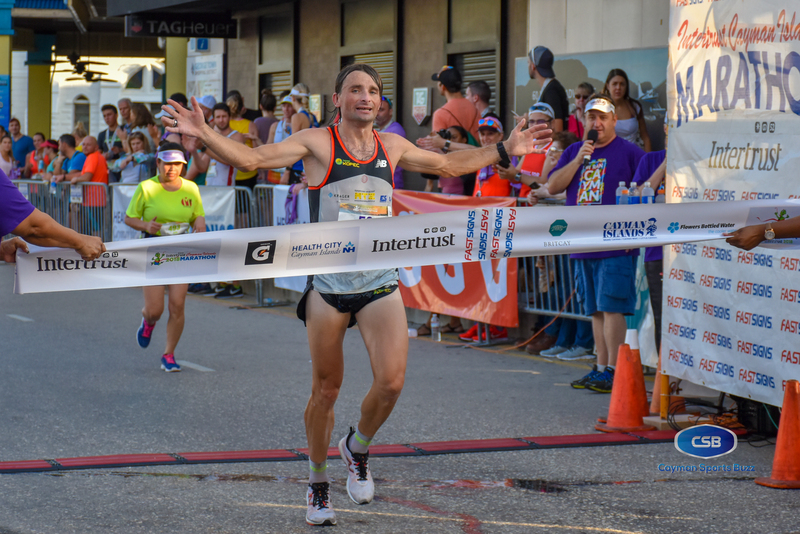 Steve Spiers, who won fourth Cayman Islands Marathon last year, was second across the line in 3:09:11. Attila Kovacs, who travelled from Canada, was third with a time of 3:21:46. Yvonne Carter celebrates as she finishes ahead of some half-marathon runners. Yvonne Carter, who returned from Baltimore to successfully defend her 2017 title. She jubilantly crossed the line and into the arms of her mother, having completed the race in 3:32:48. 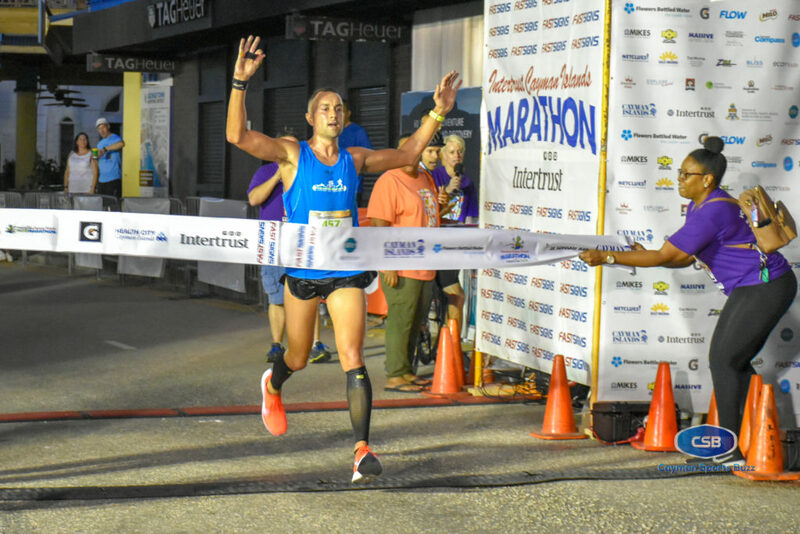 She said the 2018 win was special for her because she was coming off a personal best of three hours and nine minutes in the New York Marathon and was looking for a good performance in the Cayman Islands. Earlier in the morning, triathlete Patrick Harfield kept up his solid year with a win in the men’s half-marathon. Weeks after winning the Cayman Islands Triathlon, Harfield added another winner’s medal with a time of 1:24:49. He was trailed by record-holder Marius Acker (1:25:01). Another local runner, Jason Trautman, was third (1:26:59). Patrick Harfield was the first across the tape in the half-marathon. 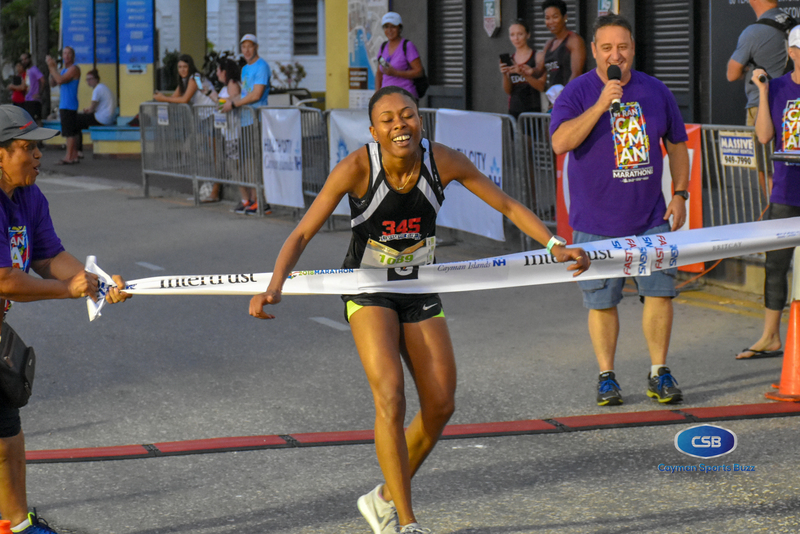 In the women’s half marathon, another star of the local road, Tiffany Cole, was first to the tape but not without some drama. 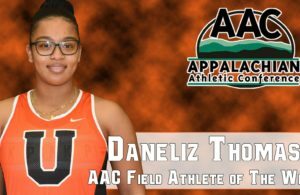 The 21-year-old stormed to the finish, collapsing as she burst through the tape and had to be helped to the recovery zone. Cole gave it her all to make it to the line. Cole (1:38:20) had been trying her hardest to hold off Michelle Vinton, who finished 18 seconds behind her. “When I got to the corner by the clock in town, I put in a sprint because I did not want her to catch me. 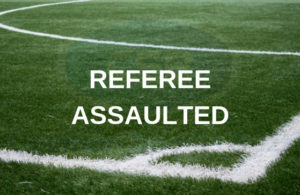 So, I put in my all and focused on getting to the line…when I dropped, I was like ‘that’s it’,” she explained, adding that the scene was worse than it looked. Competing in her second half-marathon, the Cayman Islands 800m record-holder, said she was doing fine until the final two miles. “I was just so done and trying to focus on pumping my arms and keeping my legs turning over,” she said of her mindset as she got closer to the finish. There were 1267 finishers, the most in the event’s history. Of that number 811 completed the full-distance marathon, also a record. 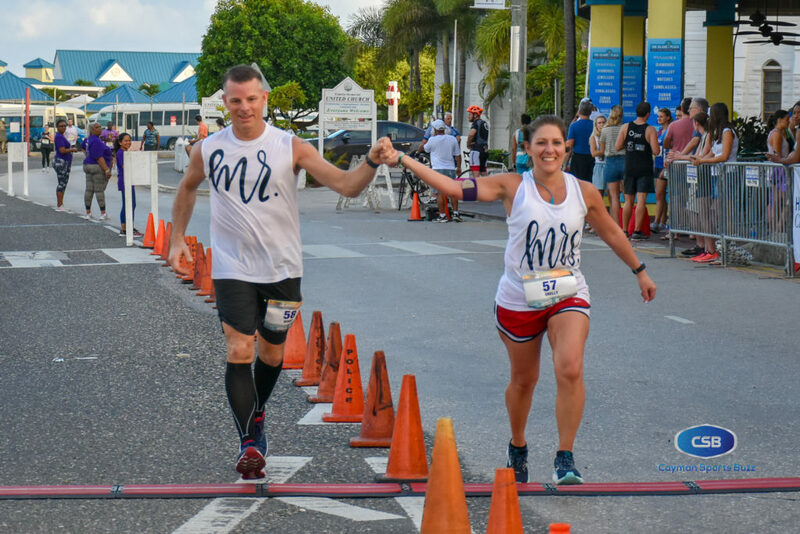 Robert Catlett and his wife, Shelly, did the marathon and half marathong, respectively, hours after tying the knot. 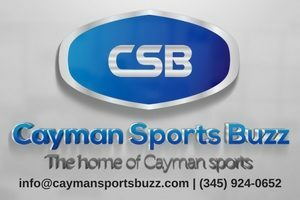 CaymanSportsBuzz.com celebrates not just the winners but all those who ran, many with personal goals and various causes as their beneficiaries. Click here for the full results including relay team winners.